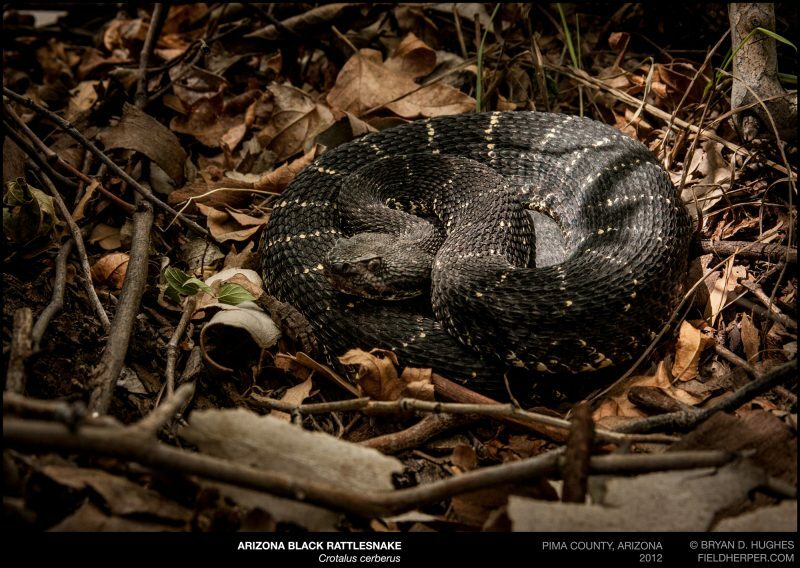 After a long and hot hike in Southern Arizona with some friends, I finally spotted this Arizona Black Rattlesnake sitting in leaf litter … and some of those leaves were poison ivy. We got some good shots, and I paid the price. Worth it! This entry was posted on Thursday, April 21st, 2016 at 9:29 pm	and is filed under Field Herping, Snakes. You can follow any responses to this entry through the RSS 2.0 feed. You can leave a response, or trackback from your own site.